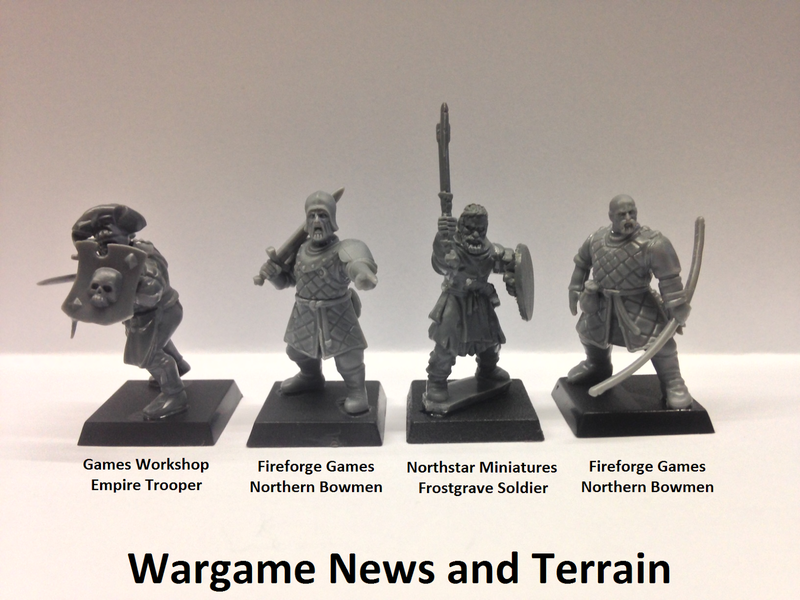 Wargame News and Terrain: Fireforge Games: New Plastic Fantasy Forgotten World Northern Bowmen Reviewed! 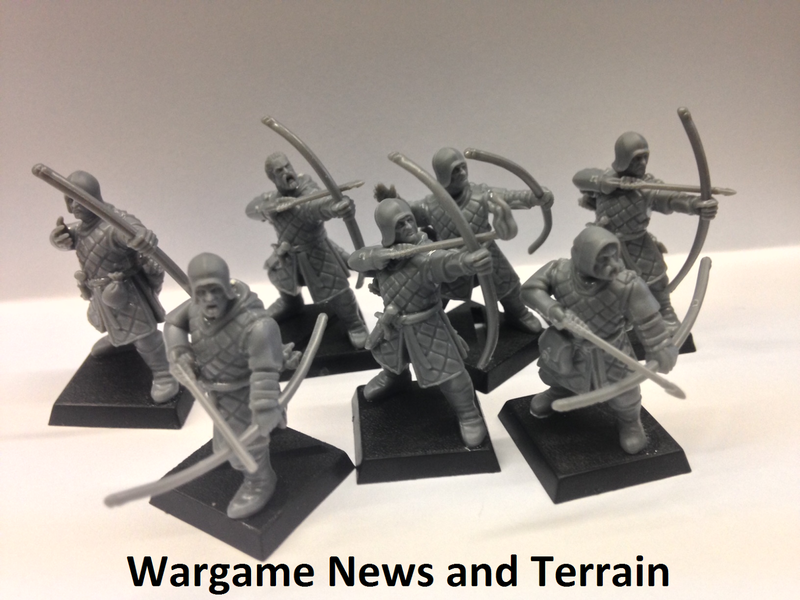 Fireforge Games: New Plastic Fantasy Forgotten World Northern Bowmen Reviewed! 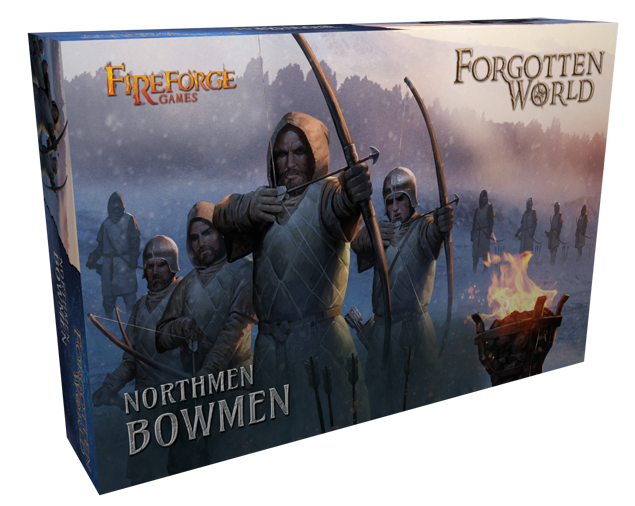 Today we have an exciting pre-release review of the brand new plastic Fantasy Forgotten World Northern Bowmen by Fireforge Games. Let's take a closer look at these finely detailled plastic Northern soldiers from the New World! Last year, Fireforge Games succesfully funded the upcoming Forgotten World fantasy wargame miniature range and wargame rules through Kickstarter. 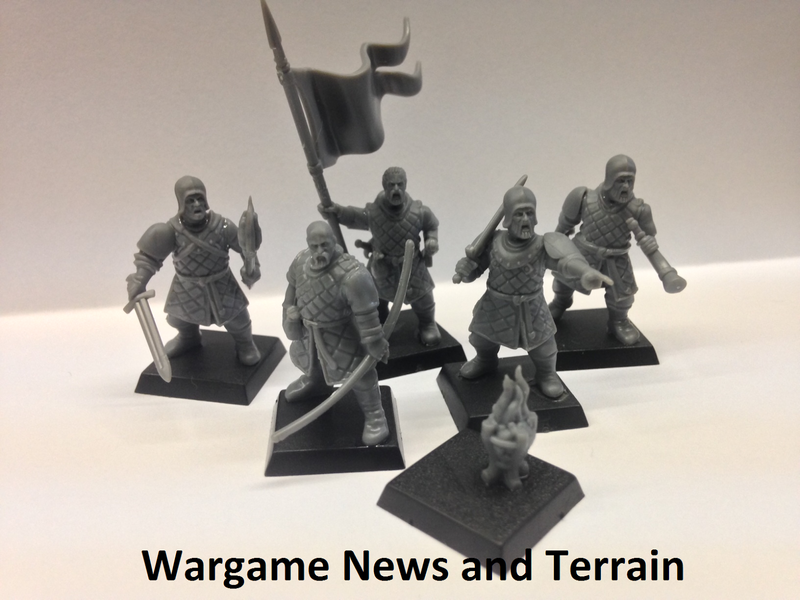 The Kickstarter was launched to allow the creation of at least 6 different hard-plastic multi-part miniature kits split over two warring fantasy factions being the The Northmen and The Living Dead. The Northern Bowmen miniatures which we will review today are part of the fierce Northmen faction and are described to be expert hunters in the dangerous northern forests, explorers and perfect to weaken the enemy armies, sound cool right! The Northern Kingdom is one of the strongest and largest nations of the New World. Once a united country, led by an ancient dynasty, now it is divided between generals, lords and rich merchants; assembling their own armies to conquer the throne. Any Northmen army can count on an excellent core of warriors, expert soldiers without fear of the enemy, with a good number of bowmen, who with their arrow fire, cover the advance of their warrior brethren. The flanks of a Northmen army are usually protected by fast units of mounted men at arms, usually bodyguards of the local vassal and act perfectly as scouts or to chase a routed enemy. The Northern Bowmen boxed set contains three sprues allowing you to create 12 individual soldiers with their weaponry and equipment. The kit comes with two identical soldier sprues which each hold enough parts to make six bowmen and one command sprue which contain enough parts to assemble some of the regular bowmen as command miniatures such as a captain, standard bearer and musician. The box will also comes with a choice of 12 plastic 20mm square bases and 12 plastic 25mm diameter round bases although the review sample came with none hence the choice of some other bases later in the review. 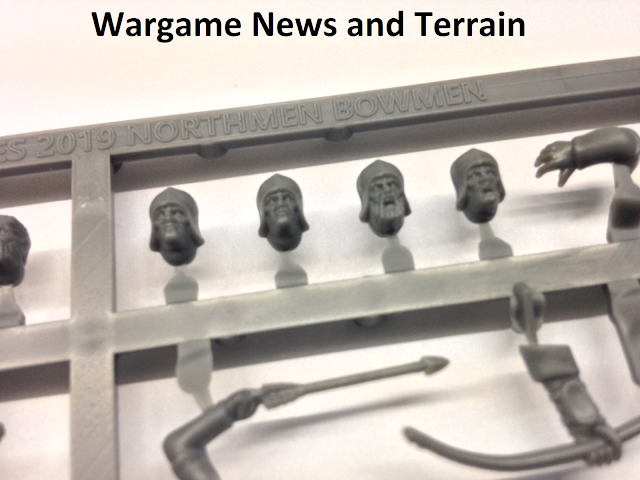 The Northern Bowmen Soldier Sprue of which two are included in the boxed set contains enough parts to assemble six warmly clothed bowmen armed with lethal longbows and possible flaming arrows. The sprues contains a very nice selection of both hooded heads and helmeted heads along with all sorts of equipment such as daggers, quivers, regular arrows and flames to upgrade your regular arrows into flaming ones. Each sprue also contains a flaming brazier further enhancing the look of your miniatures firing flaming arrows. Note that some arrow holding arms have more flat-tipped arrows which allow you to easily add the flames to create flaming arrows. As you can see the sprue contains more bodies than leg parts offering some option to create even more unique soldiers and characters. Another interesting point is that three of the six leg components exists out of two parts but don't offer more options as each pair must be assemble with the correct counterpart. Later during the assembly I also encountered a minor issue with one of the pairs but more on that later during the assembly part of the review. The quality of the hard-plastic sprues is very good with lovely detail on each of the parts but especially showing in the faces. There are some fine mouldlines from the production process but these are very easy to clean if you would deem this necessary when assembling the miniatures. 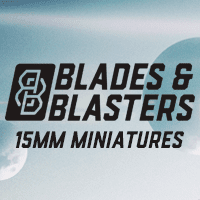 If I'm not mistaken these miniatures are produced by Renedra, the leading hard-plastic wargame miniatures tooling and production company in the United Kingdom so the expertise of these talented people is certainly noticable. Check the lovely close-up pictures of the parts below and judge for yourself. 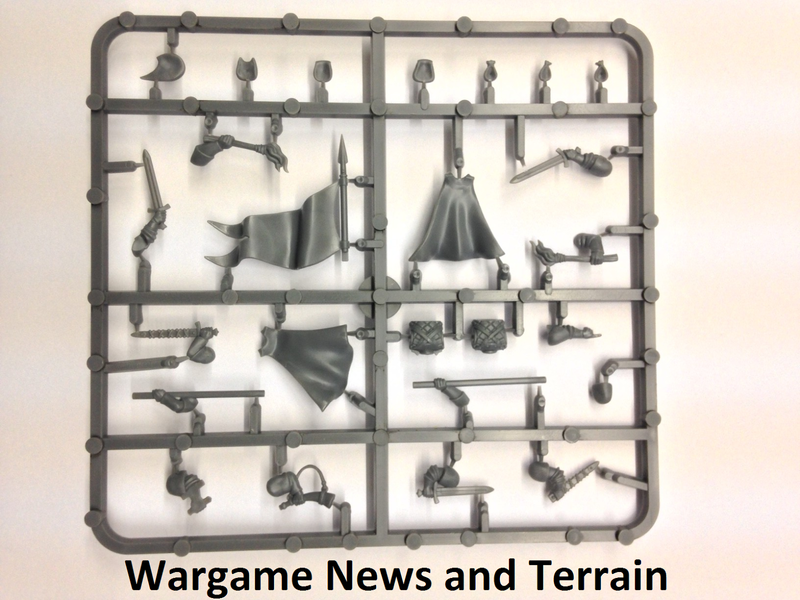 The Northern Bowmen Command Sprue of which one is included in the boxed set contains enough parts to change some of your regular bowmen into command miniatures. You can change them into a heroic looking captain, standard bearer or musician but the sprue also offers some extra equipment to further add some more character to your regular bowmen in the form of pouches. As you can see this smaller command frame is filled with all sorts of cool detailled components ranging from weapons to equipment but also some rather nice capes and alternative bodies. The offered weapons and equipment such as the torches and pouches really add more character to your miniatures giving them even more personality and realism. Looking at the selection of weapons it seems that the Northern faction loves their swords as no other weapon is included on the frame. I also found the design of the very nice banner intriguing as it comes in two pieces offering you the option on how your miniature holds the banner. I thought that the two-part assembly would weaken the standard but the piece is quite solid when properly glued together. One minor issue of this sprue is the inclusion of a shield holding arm but no shield so you can't use that part if you don't have other kits available. 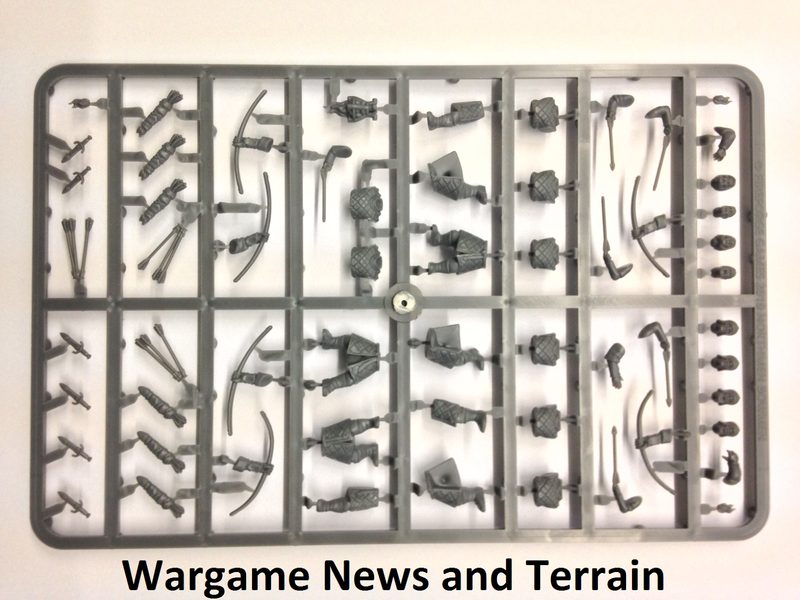 I think this issue is caused by the fact that both the Northern Bowmen and Northern Warriors set will share the same command sprue with in case of the Northern Warriors the shields being included on the soldier sprue but not on the Northern Bowmen soldier sprue. Check the pictures below to check the detail of these pieces and I'm sure you will like them. When assembling the miniatures, I haven't encountered much trouble as all the parts are easily removed from the frames and cleaned using your standard hobby tools. Although I would recommend composing and dry-fitting all your miniatures before actually glueing them together as you might encounter a shortage of certain arms and parts to fully assemble each miniature. This is mainly caused when you decide to assemble more than the three command miniatures and you will lack some arms to fully assemble these extra 'command' miniatures. Another small issue that I have encountered is that one of the three double parts leg components doesn't fully fit the other leg part. Not sure if I have done something wrong there as the other parts fitted perfectly and didn't fit that part but I just slightly modified the part using a sharp hobby knife and then it fitted exactly so with this one I don't know if this is really an issue. That said the assembly of these twelve miniatures took less than 2 hours but I can can easily skip the cleaning of some mouldlines as in most cases I don't bother cleaning these up when going for quick tabletop standard painting. In the pictures below you can see the assembled miniatures in a large amount of different poses including an extra 'command' miniature as mentionned above and one soldier equipped with savage flaming arrows. In the pictures below you can see the assembled miniatures from the full Northern Bowmen boxed set on alternative bases (two braziers are included but only one is shown below). The scale of these new Fireforge Games miniatures is on the larger side and is more scaled as but slightly bulkier than the heroic sized Games Workshop Warhammer Fantasy or Age of Sigmar miniature range and slightly larger than the new Northstar Miniatures Frostgrave and Oathmark fantasy ranges although the scale difference is not too noticable on the tabletop I wouldn't mix them in the same units. I also think that the bulkiness of these Northern Bowmen miniatures is because of their thick gambeson armour and the fact they are clothed for a harsh cold climate. I have taken a comparison picture so you can judge for yourself but I wouldn't mind using all of the below miniatures next to each other on the tabletop should the occasion occur. After thoroughly inspecting and assembling these new Fireforge Games miniatures, I can certainly say that I very much like the look and design of these stout warriors. The look of these hard and winter-clothed northern warriors is very reminsicent of the popular Games of Thrones television series although that might be coincidence as they are just some cool looking standard cold climate equipped fantasy soldiers that would fit several fantasy settings without much hassle. These would also look great if being used in miniature roleplaying as individual characters or character retinue. These miniatures are great quality and the choice of components is great but could have even been better with the inclusion of some more arms and different weapons. The assembly of the miniatures is easy and the removal of mouldines is very quick if you deem it necessary. The box contains sufficient parts to assemble twelve miniatures and although that's a nice amount I would have preferred a slighly large number of miniatures included as there might have been place to add some more legs on the command and soldier sprues. I have thought of comparing the box content with the content of that of historical boxed sets but that would not have been fair as fantasy boxed sets have in general less miniatures per box than their historical counterparts. That said I still think this is a superb boxed set certainly worth the asking price and I'm looking forward in adding some more of these soldiers to my miniature collection in the future. As these miniatures aren't released yet you can't buy these at the moment but they are due to be released somewhere in april-may 2019 along with the other plastic miniature sets of the Forgotten World Kickstarter. The Kickstarter price for one plastic boxed set was set at €16 and for those who haven't pledged yet during the Kickstarter you can still pre-order them here at Fireforge Games for the same price. As noted before these miniatures were designed for the Fireforge Games Fantasy Forgotten World wargame rules which are still being developed as we speak. 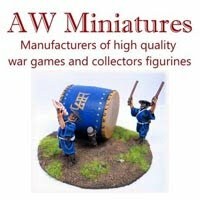 I hope you found this review of interest and I'm looking forward in replying to your questions and looking forward in hearing your thoughts about these new miniatures through our the comment section below and other channels. Disclaimer - We received these miniatures from Fireforge Games for reviewing purposes. 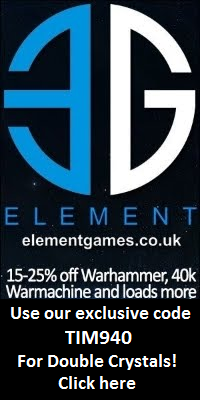 Please note that this doesn't influence our review as we always strive to supply you with our own independent and honest opinion about the wargame products reviewed and you may have noticed that these miniatures are simply awesome so no need to dishonest about that! 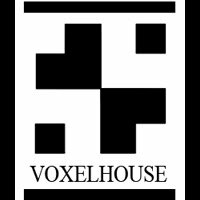 Dozens of other reviews can easily be found here and make sure to follow this blog as more reviews, tutorials and wargame news appears every day! Great review. Thanks for sharing! They look quite big and bulky - smaller then GW Empre but bigger than Frostgrave, so it seems they are bigger then other Fireforge Minis? Think there is a scale comparison on the Kickstarter showing the difference. Punga Miniatures: New Fantasy Pi'rats Coming to Kickstarter! - Punga Miniatures: Pi'rats from the sea ​​bottom, coming to Kickstarter!